For years we have been working with Bed & Breakfasts around the world. Their feedback and expertise has helped us to create the most user-friendly, practical and modern software you will find on the market today. It allows you to focus entirely on attending to your BnB guests while you let Sirvoy do the rest. While you prepare delicious breakfasts for your guests, Sirvoy manages incoming bookings, sends out confirmations and reminders, updates availabilities on channels and much more. Our Property Management System for B&Bs is cloud based, which means you can access it not only from your computer but also from your smartphone and tablet – all you need is an internet connection. You will find it easy to use, functional and intuitive, that’s our guarantee. Additionally, our committed support team will help you free of charge with any questions you might have. Whether you have one or one hundred rooms, Sirvoy will make life much easier for you and your guests. 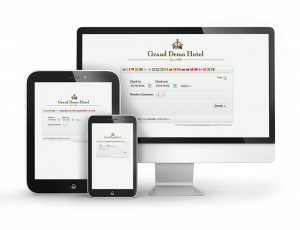 Bed and breakfast owners from over 100 countries are already enjoying the benefits of using our online software everyday. Why not become one of them? Test out our system for free and get started in just a few minutes!